What do a Polish food company, whose products are enjoyed by consumers in over 50 countries of the world, and the construction of the largest factory in Europe that will produce batteries for electric cars, have in common? The common denominator is their unquestioned business success, but there is something more. Maspex and LG Chem are this year’s winners of the fourth edition of the Emerging Market Champions competition. To honor the best companies and inspire the business community to develop further – this has always been the goal of the Emerging Markets Champions competition. The award, initiated by President of Citi Handlowy, Sławomir S. Sikora, has been presented by the Citi Handlowy Kronenberg Foundation to leaders of entrepreneurship for four years. Two of the 91 nominees made it to the podium – Maspex was awarded in the category of Polish companies expanding abroad, and LG Chem in the category of businesses from emerging markets investing in Poland. We have become used to intra-continental trade. Until recently, European countries accounted for over 70 percent of trade volume in the Old Continent. However, this trend is consistently reversing, as demonstrated by the winners of our competition, and trade between emerging and developed markets is growing in intensity, Sławomir S. Sikora, President of the Management Board of Citi Handlowy. In order to promote the leading examples in the area of direct foreign investments, the award is presented in two categories: “Polish foreign investments” and “Foreign investments in Poland”. Maspex has joined the winners of previous editions, including KGHM, Nowy Styl Group and Amica. LG Chem, the winner in the second category, was preceded by companies such as Samsung and Cemex. The winner of the first category is MASPEX, which was recognized for the consistently implemented strategy of the group’s development outside Poland and a series of successful acquisitions of foreign companies, allowing the brands of the Maspex group to strengthen their leading position in many segments in Central and Eastern Europe. In the second category, the award went to LG CHEM in recognition of the successively increased investment potential of the company in Poland, contributing to the creation of new jobs, along with the consistent implementation of modern technological solutions in the Polish facilities of the company, which will contribute to the activation of regional sub-suppliers and manufacturers from the automotive sector. 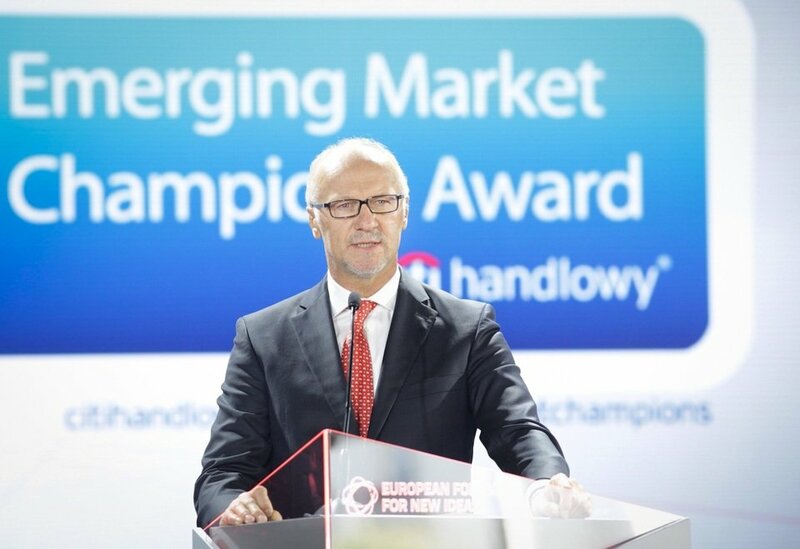 The idea of the Emerging Market Champions Award is to promote positive business practices on an international level and to build (...) composed of representatives of different communities of significant importance to public and economic life in Poland, such as former and present ministers, city presidents, university rectors, ambassadors of emerging markets in Poland, representatives of chambers of commerce and of the media. This year, over 100 members of the Council nominated 95 entities (13 more than last year): 61 in the “Polish investments abroad” category and 34 in the “Foreign investments in Poland” category. The choice was based on the analysis of factors such as the scale of operations and the geographic scope of investment. The key issues taken into account for foreign investors included the scale of investment in Poland and the number of jobs created in Poland.